Coaching caregivers to deliver Naturalistic Developmental Behavioral Intervention (NDBI) strategies to their young child with autism spectrum disorder (ASD) could help address the provider capacity barrier in sub-Saharan Africa. However, the behavioral and developmental research that underpins NDBIs is overwhelmingly drawn from high resource settings. Therefore, our understanding of joint activity routines, including play and family routines in which NDBI strategies are embedded, may have limited applicability in low resource, culturally diverse environments. Important questions remain on how to adapt NDBIs to be relevant in the family lives in these settings. This study aimed to elicit descriptions of joint activity routines from caregivers of young children with ASD in South Africa, to understand whether an NDBI-informed caregiver coaching could ‘fit’ within the multicultural, multilingual South African context. Results from focus groups with caregivers suggest that South African caregivers of young children with ASD DO use joint activity routines to engage their children and teach them new skills, thus suggesting a degree of ‘fit’ between South African caregiver-child interactions and an NDBI-informed caregiver coaching approach. This article can be accessed here. Efficient and effective interventions are required to meet the communication needs of children with autism spectrum disorders (ASDs) in South Africa. This multiple baseline study examined the effects of therapist-implemented enhanced milieu teaching (EMT) on the diversity and frequency of spoken language of three children with ASD in South Africa. A moderate functional relation was demonstrated between the introduction of EMT and increases in (1) the number of different words and (2) the number of spontaneous utterances used by each participant. Some evidence of generalisation to novel partners and contexts was observed. We concluded that EMT may be effective for improving communication in South African children with ASD. Implications for clinical practice and cultural and linguistic adaptations are discussed. Click here for more details. There is increasing evidence that early intervention has positive outcomes for parents of children with neurodevelopmental disabilities. Parental self-efficacy has been used as an outcome measure in some empirical studies; however, there is a lack of evidence of the impact of parent training programmes on parenting self-efficacy beliefs. In this systematic review, we set out to assess the effectiveness of parenting interventions to increase parental self-efficacy levels in parents of young children with neurodevelopmental disabilities. We found that parent training programmes are effective in increasing parental self-efficacy in parents of children with neurodevelopmental disabilities and that parents of children younger than 5 years demonstrated the highest increase in levels of parental self-efficacy after parenting interventions. Furthermore, this review showed that psychologists and other healthcare practitioners are successfully able to implement training programmes that enhance parenting self-efficacy. More details can be accessed here. We set out to examine key stakeholder perspectives on early detection and intervention for autism spectrum disorder (ASD) in South Africa. We focused on eight senior management level stakeholders in the Western Cape province, two each from government’s Health, Education, and Social Development, and the non-profit sector. The National Integrated Early Childhood Development Policy was identified as the most relevant to early detection and intervention. This policy, however, is not ASD specific. This lack of specificity is in keeping with an emerging theme: ASD was only seen within the context of other developmental disabilities, particularly by Health and Social Development. Specific ASD early detection and intervention may not currently align with Health and Social Development departmental goals even though these departments are primarily responsible for identifying and providing services and financial support to young children with ASD. Increased ASD knowledge and local South African statistics on prevalence, burden and associated costs may alter this approach. At this time, ASD early intervention may be more closely aligned with Education department goals. Professionals in low‐ and middle‐income countries urgently need training to recognise red flags of autism in very young children. Autism Navigator® for Primary Care is a web‐based course designed to increase awareness of red flags of ASD in the second year of life and thus promote earlier detection and referral for intervention. 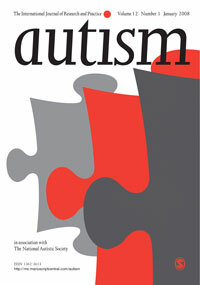 It contains extensive video illustrations that offer rapid access to multiple exemplars of ASD red flags. The feasibility of utilising the Autism Navigator® for Primary Care course was explored with 62 South African professionals. After training, professionals' knowledge of early red flags improved, and most reported the course important and needed in South Africa. They found the web‐based design mostly acceptable, practical, and culturally applicable. We propose that, with some modifications, this training has the potential to lower the age of detection of autism spectrum disorders. For further details click here. Mental health problems represent the greatest global burden of disease among children and adolescents. 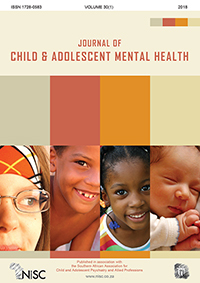 There is, however, lack of policy development and implementation for child and adolescent mental health (CAMH), particularly in low- and middle-income countries (LMICs) where children and adolescents represent up to 50% of populations, including South Africa. 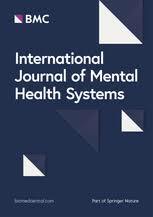 This study by Stella Mokitimi, Marguerite Schneider and Petrus de Vries, sought to examine the history and current state of CAMH policy development and implementation in South Africa, and to perform a systematic analysis of all available CAMH service-related policies. We found that in spite of South Africa’s upper-middle income status, there were no publically-available provincial CAMH policy documents. There is an urgent need to develop and implement CAMH policies in South Africa and other LMICs. Further research will be required to identify and explore the barriers to policy development and implementation, and to service development and scale-up in CAMH. Further details can be accessed here. EarlyBird and EarlyBird Plus are parent education and training programmes designed by the UK National Autistic Society in 1997 and 2003, having been delivered to more than 27,000 families in 14 countries. These group-based programmes aim to (1) support parents immediately after diagnosis of autism spectrum disorder, (2) empower parents, encouraging a positive perception of their child’s autism spectrum disorder and (3) help parents establish good practice. In the absence of any previous comprehensive review, John-Joe Dawson-Squibb, Eugene Davids and Petrus de Vries performed a scoping review of all peer-reviewed publications on the two programmes. The goal of the review was to determine the level and extent of evidence for such widely used programmes. The review explored the context, study populations, design, outcome measures, and where focus was on parental perception, parental changes or child changes and programme feasibility. The article can be accessed by clicking here. A number of studies in lower-and middle-income countries have called for greater caregiver involvement in intervention delivery as a cost effective means of providing services and addressing the capacity barrier. However, the majority of caregiver coaching interventions have been developed in high-income settings and need to be adapted to enhance ‘fit’ with the local setting. In a recent publication Jessy Guler, Petrus de Vries, Noleen Seris, Nokuthula Shabalala and Lauren Franz assessed which contextual factors caregivers of young children with ASD in South Africa deemed important in early intervention. A broader goal of this publication was to inform the process of adaptation of caregiver coaching early ASD intervention for new contexts. The article can be accessed by clicking here. Lesia Smith from the Centre of Autism Research in Africa (CARA) translated and examined the cultural appropriateness of the Autism Diagnostic Observation Schedule-2 in Afrikaans. The findings from her study “highlighted unique aspects of the language (‘Kaaps’) that need to be considered during Autism Diagnostic Observation Schedule-2 administration. The social interaction demands of the Autism Diagnostic Observation Schedule-2 appeared appropriate, and sufficient familiarity with Autism Diagnostic Observation Schedule-2 materials and activities was found to support the use of the Autism Diagnostic Observation Schedule-2”. To access the full-text of her manuscript in Autism click here. Autism Spectrum Disorder (ASD) is considered a global public health concern, yet little is known about ASD in sub-Saharan Africa. In a recent review by Lauren Franz, Nola Chambers and Petrus de Vries from the Centre of Autism Research in Africa aimed to address the gap in our understanding of ASD in sub-Saharan Africa, and recommends “a substantial need for large-scale clinical, training and research programmes to improve the lives of people who live with ASD”. 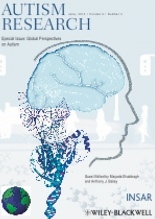 The review published in Autism Research can be accessed by clicking here. A great need exists for culturally appropriate tools, particularly in detecting symptoms of Autism Spectrum Disorder (ASD). Nola Chambers and some of her colleagues examined early detection of ASD in isiZulu-speaking children in South Africa. The study was published in Autism and can be accessed by clicking here. For full details about publication, please see ResearchGate profiles of individual staff members.